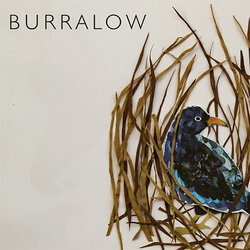 Burralow is an indie folk outfit fronted by the songwriting duo, Sarah Heydon & Ryan Sheridan. Together these two hopeless-romantic songwriters have penned and orchestrated a collection of stories from life on the road and living in the Blue Mountains. With a sound inspired from artists such as Cat Power to The Beatles, their shows are dotted with instrument changes and striking melodies. Sarah sings and performs from behind a stripped-down drum kit and glockenspiel combination, while Ryan sings and wrangles a guitar. The band’s timbre teeters between acoustic and electric with fretting double and electric basses, Andrew Provan dueling between guitar and mandolin, and Maizy Coombes striking the fiddle. Burralow’s self-titled debut EP was recorded and co-produced by Tim Kevin over 2017-18 at Oceanic and Tempe River Studios, Sydney and will be available for digital download, physical purchase and online streaming on Feb 15. A song of isolation, where you’re stuck on the side of this mountain where it feels too hard to climb out and far too easy to slide back down.